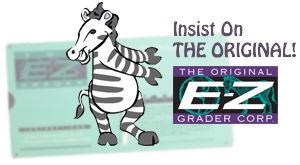 Same as our "Original" E-Z Grader but in a modern graduated color. Buy One Now! 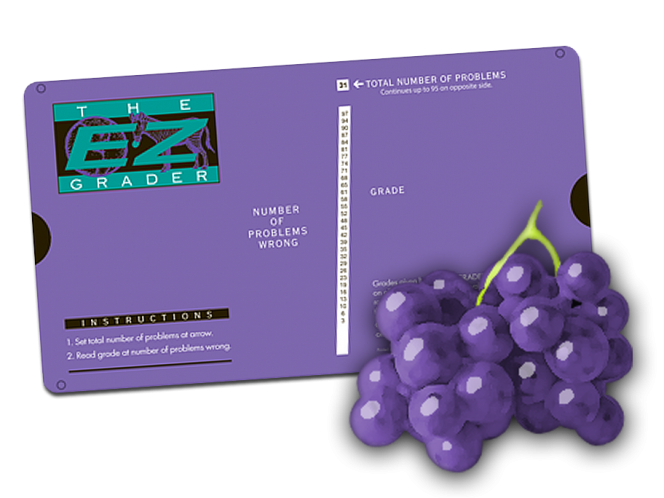 Grape Minds Think E-Z Grader. Same great tool, only much purpler. See for yourself! 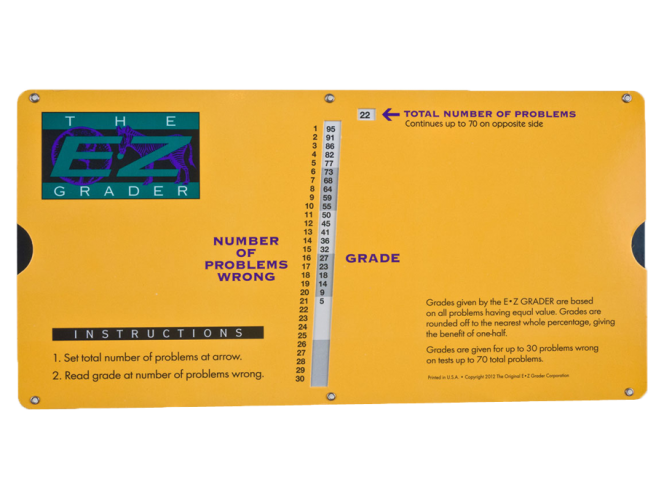 The Large-Print Yellow E-Z Grader. Order yours now! 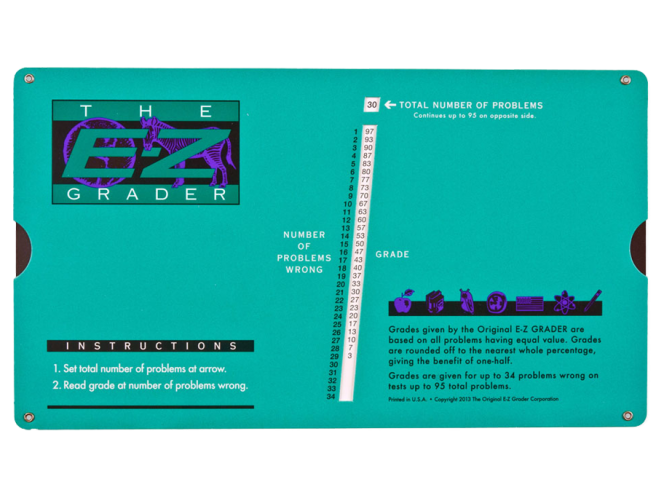 The Original E-Z Grader #5703. The sliding scale that started it all. See it yourself. You Voted, We Tallied, and Royal Blue It Is! The Royal Blue Large Print E-Z Grader! Place Your Order Today! 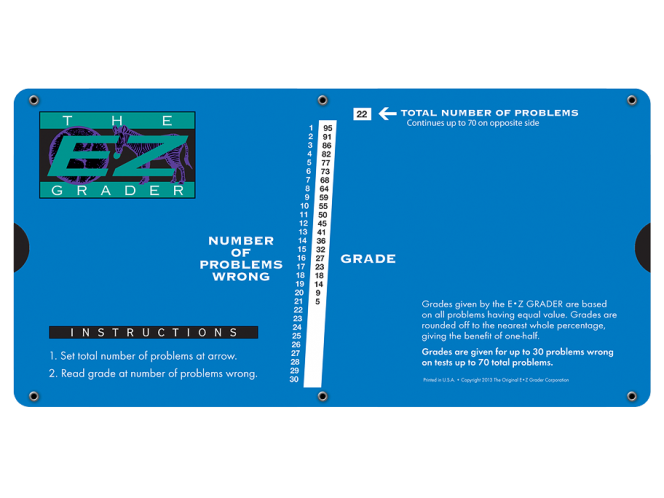 The Original E-Z Grader Corp. provides helpful teacher and teaching tools, all in easy-to-use slide chart formats. Available in many colors and sizes. 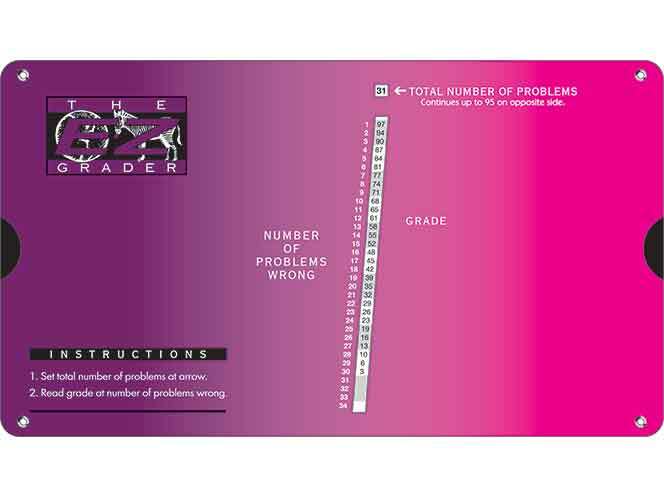 For over sixty years we have helped teachers save time and effort in and out of the classroom. Insist on the Original! Our quality products are all made in the U.S.A.